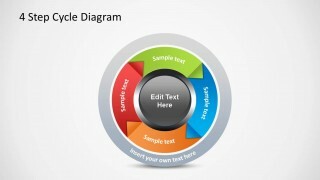 4 Step Cycle Process Diagram Template is a diagram template where you can show a process with the help of four step circular diagrams. 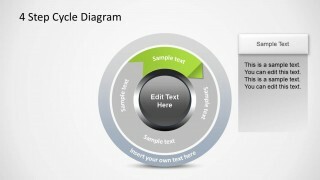 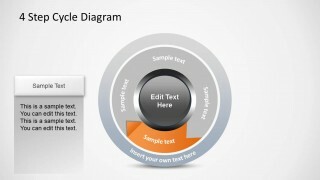 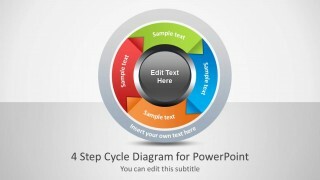 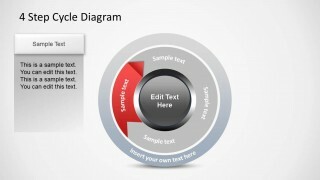 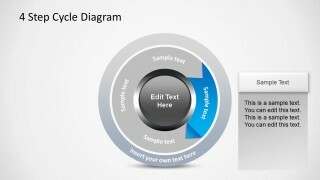 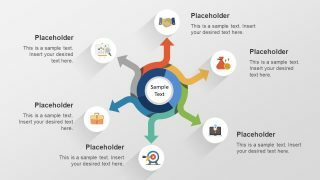 This PowerPoint Template can not only be used for creating standalone diagrams for presentations but you can even elaborate each step with explicit details to present your circular diagram step by step. 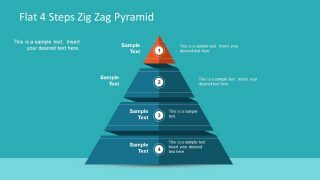 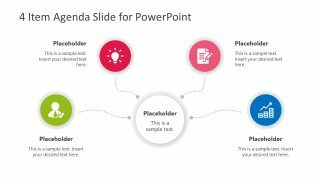 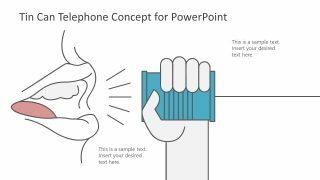 For making four step diagrams with the help of diverse layouts, see our complete collection of 4 Step Diagram Templates for PowerPoint.